H? Chí Minh, 19 May 1890 – 2 September 1969, born Nguy?n Sinh Cung, also known as Nguy?n T?t Thành, Nguy?n Ái Qu?c, Bác H? 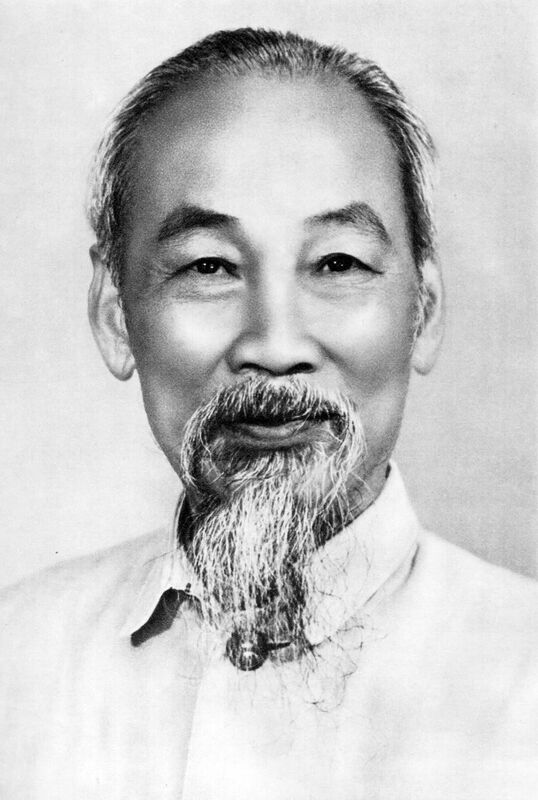 or simply Bác, was a Vietnamese Communist revolutionary leader who was Chairman and First Secretary of the Workers’ Party of Vietnam. He was also Prime Minister 1945–1955 and President 1945–1969 of the Democratic Republic of Vietnam. He was a key figure in the foundation of the Democratic Republic of Vietnam in 1945 as well as the People’s Army of Vietnam and the Viet Cong during the Vietnam War. H? Chí Minh led the Vi?t Minh independence movement from 1941 onward, establishing the Communist-ruled Democratic Republic of Vietnam in 1945 and defeating the French Union in 1954 at the battle of ?i?n Biên Ph?. He officially stepped down from power in 1965 due to health problems. After the war, Saigon, the former capital of the Republic of Vietnam, was renamed Ho Chi Minh City. Any description of H? Chí Minh’s life before he came to power in Vietnam is necessarily fraught with ambiguity. He is known to have used at least 50 :582 and perhaps as many as 200 pseudonyms. Both his place and date of birth are subjects of academic debate since neither is known with certainty. 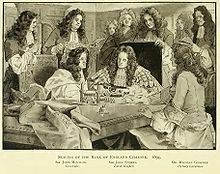 At least four existing official biographies vary on names, dates, places and other hard facts while unofficial biographies vary even more widely. The 1954 Geneva Accords concluded between France and the Vi?t Minh, allowing the latter’s forces to regroup in the North whilst anti-Communist groups settled in the South. His Democratic Republic of Vietnam relocated to Hanoi and became the government of North Vietnam, a Communist-led one-party state. Following the Geneva Accords, there was to be a 300-day period in which people could freely move between the two regions of Vietnam, later known as South Vietnam and North Vietnam. During the 300 days, Di?m and CIA adviser Colonel Edward Lansdale staged a campaign to convince people to move to South Vietnam. The campaign was particularly focused on Vietnam’s Catholics, who were to provide Di?m’s power base in his later years, with the use of the slogan “God has gone south”. Between 800,000 and 1,000,000 people migrated to the South, mostly Catholics. At the start of 1955, French Indochina was dissolved, leaving Di?m in temporary control of the South. All the parties at Geneva called for reunification elections, but they could not agree on the details. Recently appointed Vi?t Minh acting foreign minister Pham Van Dong proposed elections under the supervision of “local commissions”. The United States, with the support of Britain and the Associated States of Vietnam, Laos and Cambodia, suggested United Nations supervision. This plan was rejected by Soviet representative Vyacheslav Molotov, who argued for a commission composed of an equal number of communist and non-communist members, which could determine “important” issues only by unanimous agreement. :89, 91, 97 The negotiators were unable to agree on a date for the elections for reunification. North Vietnam argued that the elections should be held within six months of the ceasefire while the Western allies sought to have no deadline. Molotov proposed June 1955, then later softened this to any time in 1955 and finally July 1956. :610 The Diem government supported reunification elections, but only with effective international supervision, arguing that genuinely free elections were otherwise impossible in the totalitarian North. :107 By the afternoon of 20 July, the remaining outstanding issues were resolved as the parties agreed that the partition line should be at the 17th parallel and the elections for a reunified government should be held in July 1956, two years after the ceasefire. 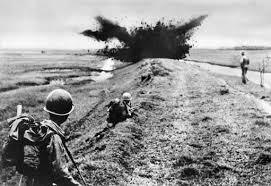 :604 The Agreement on the Cessation of Hostilities in Vietnam was only signed by the French and Vi?t Minh military commands, with no participation or consultation of the State of Vietnam. :97 Based on a proposal by Chinese delegation head Zhou Enlai, an International Control Commission chaired by India, with Canada and Poland as members, was placed in charge of supervising the ceasefire. :603 :90,97 Because issues were to be decided unanimously, Poland’s presence in the ICC provided the Communists with effective veto power over supervision of the treaty. 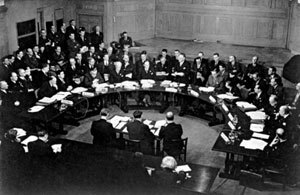 :97–98 The unsigned Final Declaration of the Geneva Conference called for reunification elections, which the majority of delegates expected to be supervised by the ICC. The Vi?t Minh never accepted ICC authority over such elections, insisting that the ICC’s “competence was to be limited to the supervision and control of the implementation of the Agreement on the Cessation of Hostilities by both parties”. :99 Of the nine nations represented, only the United States and the State of Vietnam refused to accept the declaration. Undersecretary of state Walter Bedell Smith delivered a “unilateral declaration” of the United States position, reiterating: “We shall seek to achieve unity through free elections supervised by the United Nations to ensure that they are conducted fairly”. 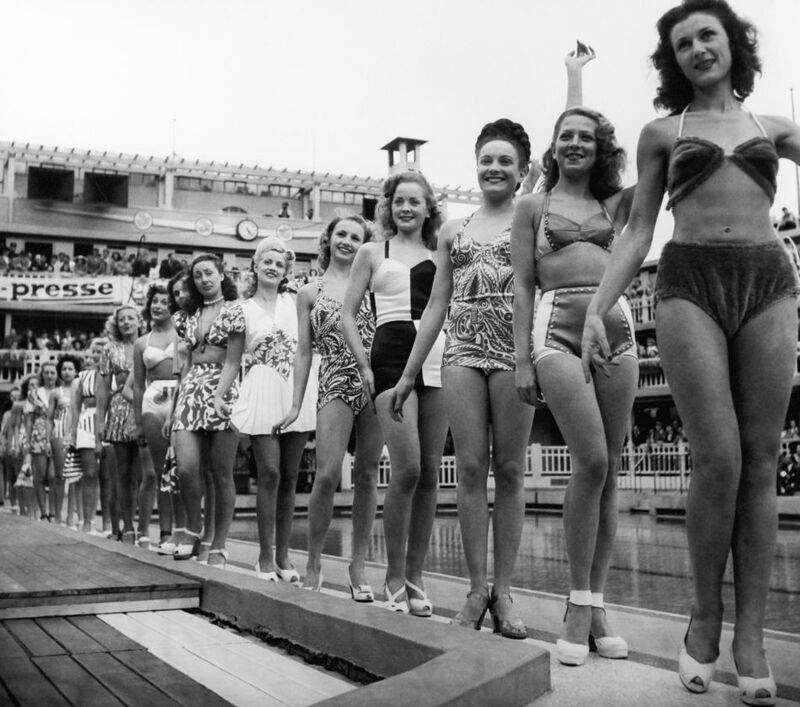 The bikini first goes on sale after debuting during an outdoor fashion show at the Molitor Pool in Paris, France. Syria gets its independence from the French occupation. 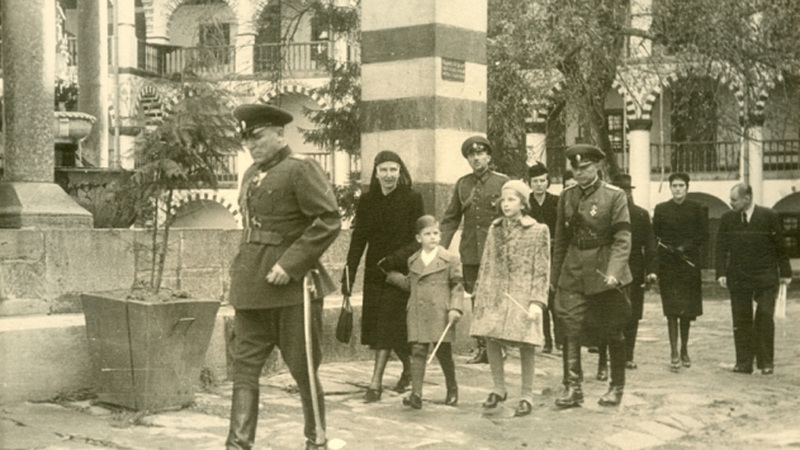 In June 1940, after the Franco-German armistice, the French in Syria announced that they would cease hostilities against Germany and Italy and recognize the Vichy government. Political uncertainty and the growing scarcity of goods and rising prices caused unrest, which was led by one of the prominent nationalists, Shukri al-Quwatli. In May 1941 the Vichy government allowed German aircraft to land and refuel en route to Iraq, and in June, British, Commonwealth, and Free French forces invaded Syria. French troops resisted for a month, but Damascus was occupied on June 21, and hostilities ceased at midnight on July 11–12. There followed two years of disagreement about the transfer of authority from the French administration to the Syrian and Lebanese governments. A crisis took place in 1945, when the French refusal to transfer control of the local armed forces led to disorders, culminating in a French bombardment of Damascus and British intervention. After long negotiations and discussion in the UN Security Council, agreement was reached on simultaneous British and French withdrawal from Syria and Lebanon. Withdrawal from Syria was completed by April 1946. 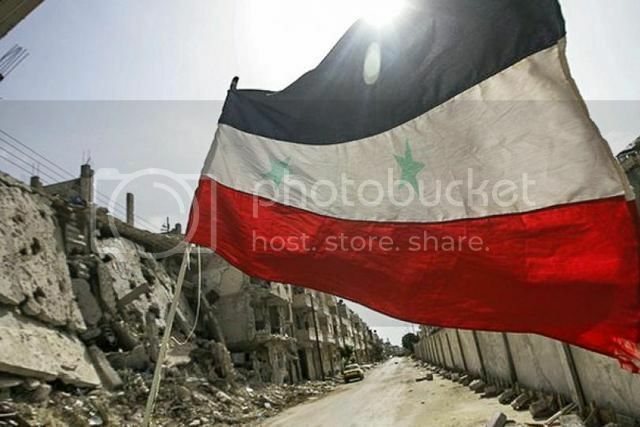 Syria had already become a founder member of the UN and of the Arab League.